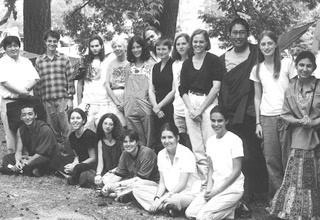 Following the first summer session in 1998, Drepung Loseling Institute is developing a number of fully accredited courses in Tibetan Buddhist studies through Emory University during the regular fall and spring semesters. Currently the Institute has proposed the following four courses for the regular academic session. This course intends to present a portrait of Tibetan Buddhism as a living tradition. The spiritual techniques used by Tibetan Buddhist practitioners, as well as philosophical and psychological perspectives of these methods, will be the focus of the course. The course will explore Tibet's ancient history with its dramatic geography and profound spiritual legacy that characterize the unique and vibrant culture of Tibet. This course provides the students with a comprehensive overview of philosophical tenets of the four principal movements that developed in Buddhist India during its classical period, i.e., pre-twelfth century CE. This course is an introduction to written and oral forms of the Tibetan language. In the future we expect to expand these programs to include courses in Tibetan medicine and art. In addition, we plan to include various courses using traditional Tibetan debate as an educational tool as practiced in the monastic universities.